Ah, the rock ‘n’ roll biopic: Always walking that fine line between Hollywood respectability, and giving the people the musical debauchery and gritty reality they presumably actually bought their tickets to see. Last year’s Oscar winner Bohemian Rhapsody came under fire for failing to strike that proper balance in some people’s eyes, with Freddie Mercury fans accusing the picture of downplaying aspects of the Queen rocker’s sexuality in its PG-13 retelling of his life. 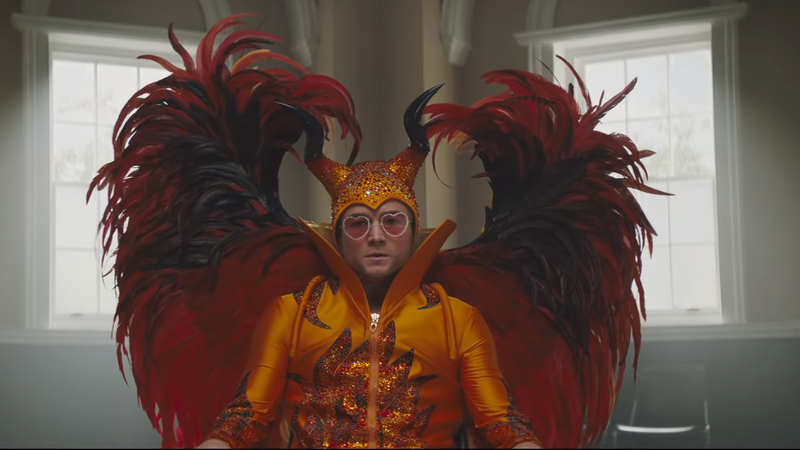 It sounds like that film’s (eventual, and credited) director, Dexter Fletcher, is going in a bit of a different direction for his next such project, though, the Taron Egerton-starring Elton John bio Rocketman. In other words, Rocketman—which various attached parties, including Egerton, have described as less of a straight biopic, and more of a “musical fantasy” based on John’s early career—sounds like the sort of weird, delightfully messy thing that it’s unlikely anyone will be able to accuse of shying away from the artist’s more decadent side. Which, frankly: Bring it on, especially since the first trailer for this movie already looked fantastic. Just be careful with the editing, please, unless you want to get another one of those Oscars everybody ends up making fun of for years.